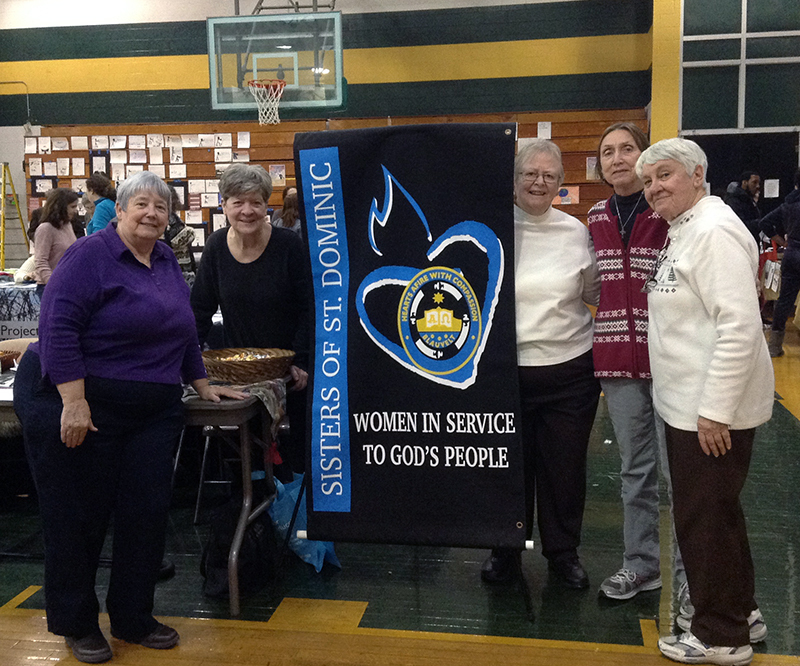 The Sisters of Saint Dominic of Blauvelt Social Justice Committee participated in the Martin Luther King Jr. Day Unity Celebration on Monday, January 21st at Ramapo High School in Spring Valley, New York. Hundreds of members from the local community attended to pay tribute to Dr. King, promote their social justice issues, and advertise their businesses. Pictured here are Sisters Diane Forrest, Ceil Lavan, Cely Byrnes, Pat Howell, and Dottie Maxwell.